by John Lifton and Charles Amirkhanian, from 1988 to 1992. 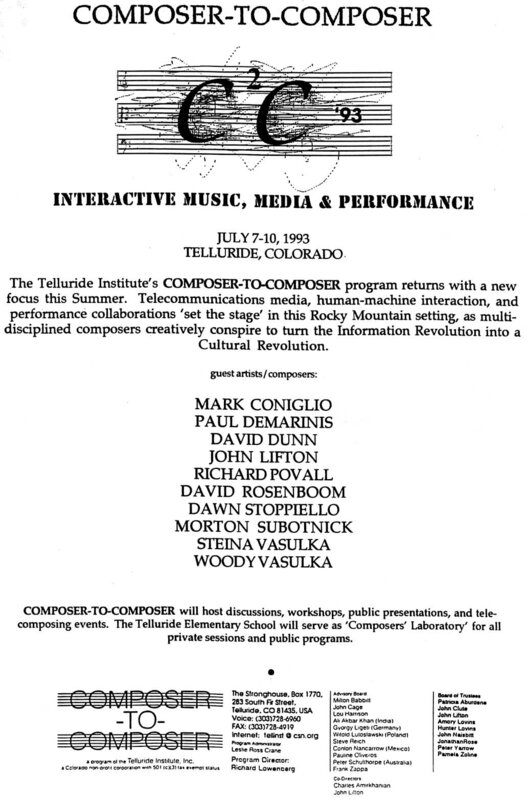 The last Composer to Composer Program, in 1993, was directed by Richard Lowenberg. 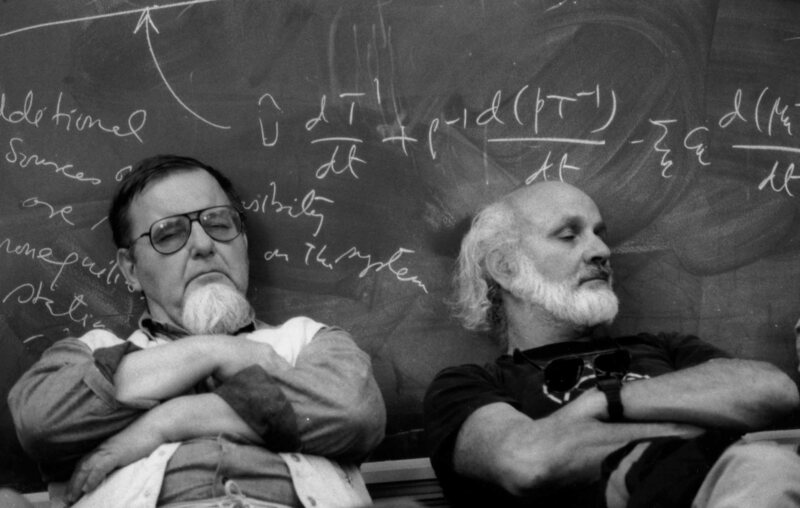 Woody Vasulka and Morton Subotnick deep in compositional meditation, between C2C sessions.